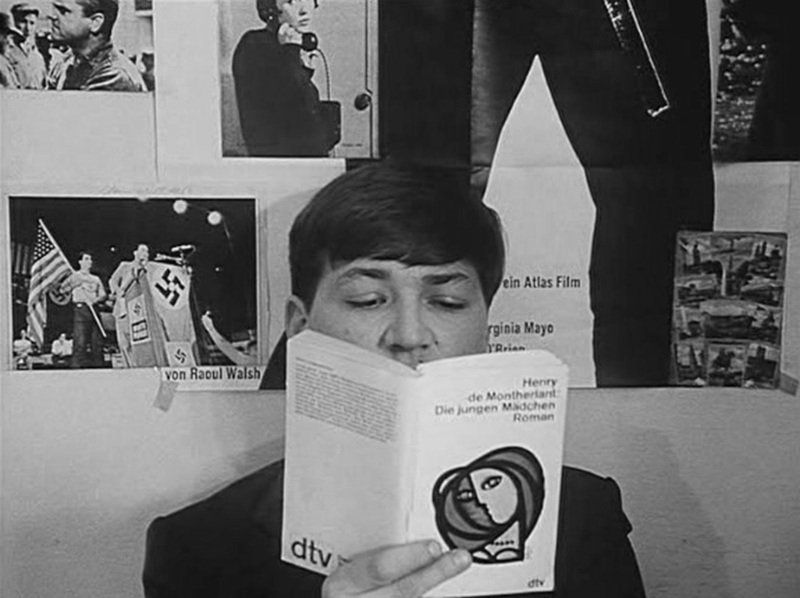 This is a post about mentions of New Wave films in other New Wave films. 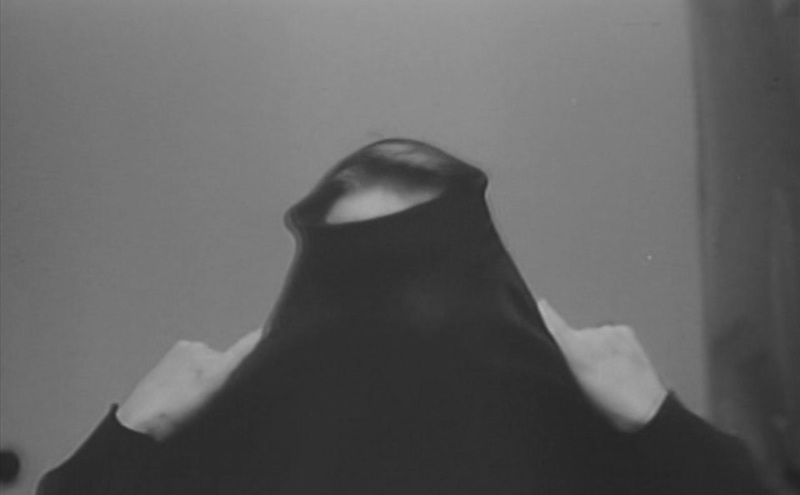 Any suggestions (here) would be much appreciated. 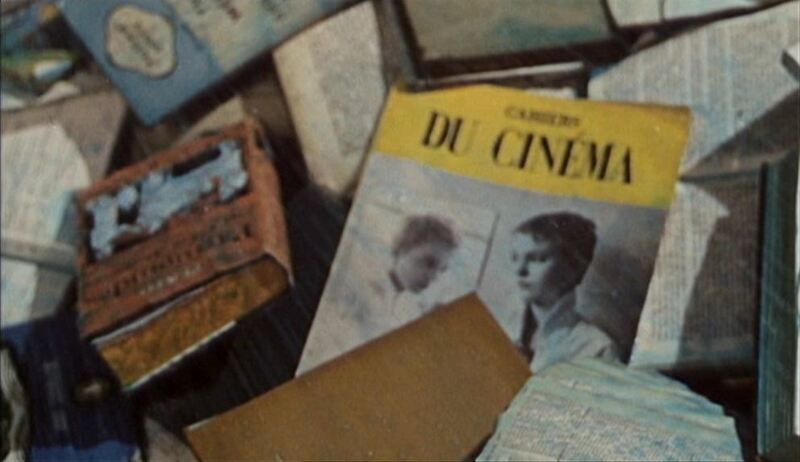 Moreau's answer is 'Moderato...', evoking the para-New Wave film she and Belmondo had appeared in together, Peter Brook's Moderato cantabile (1960). 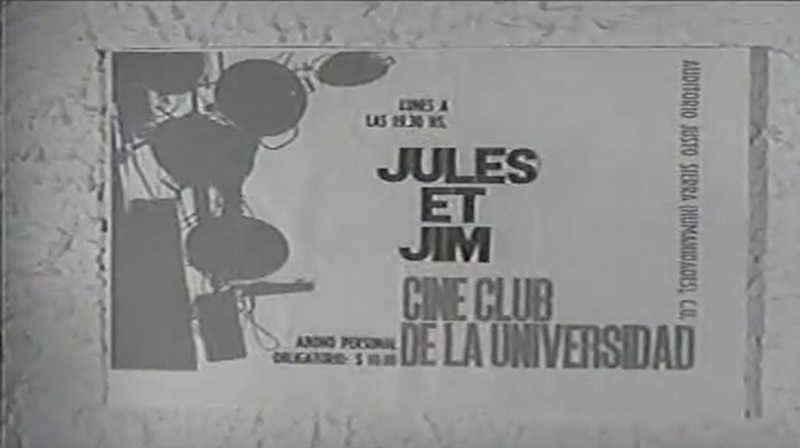 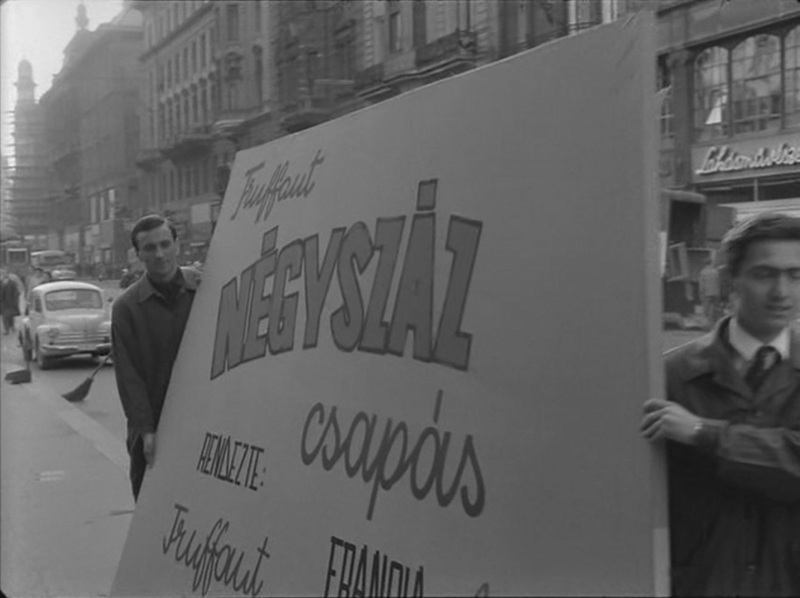 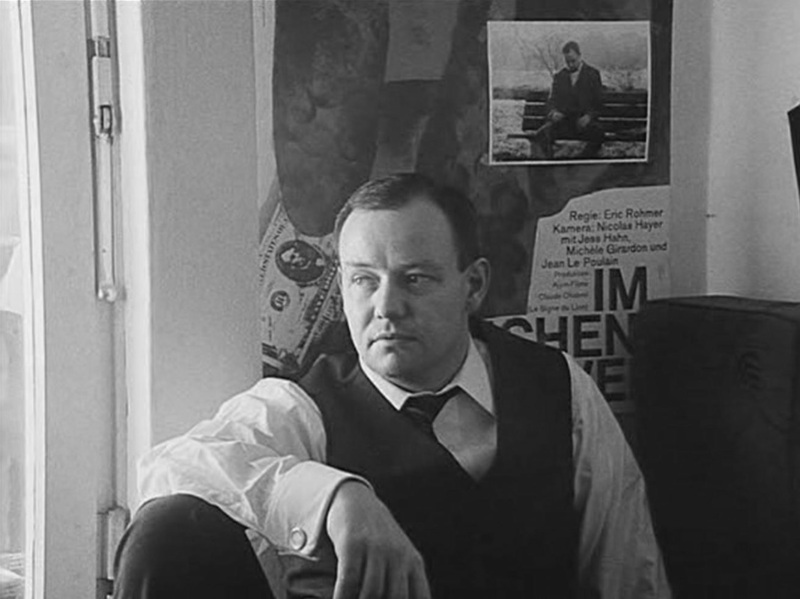 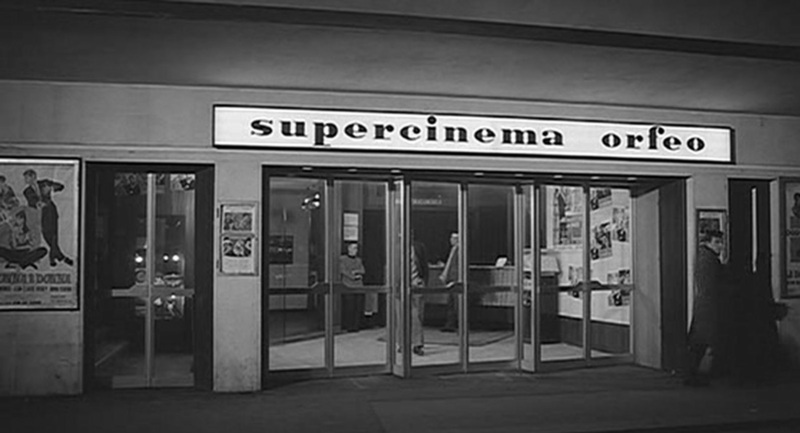 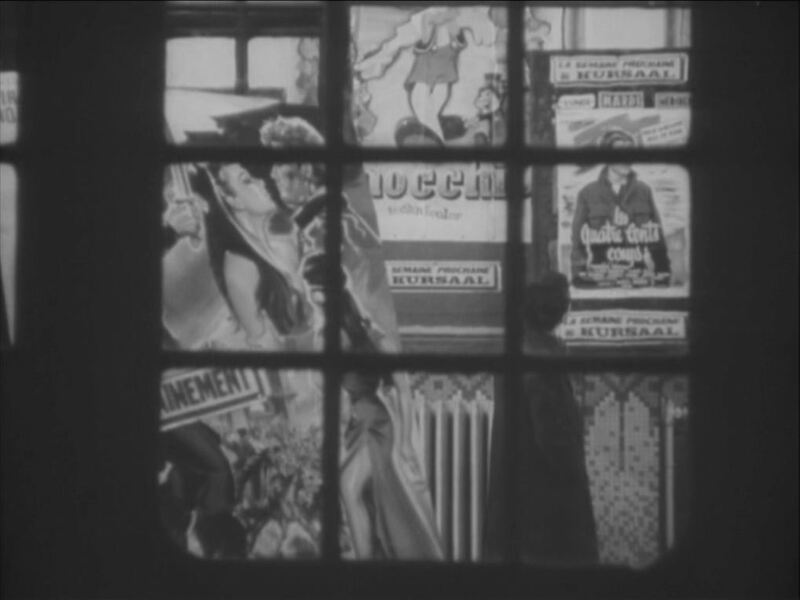 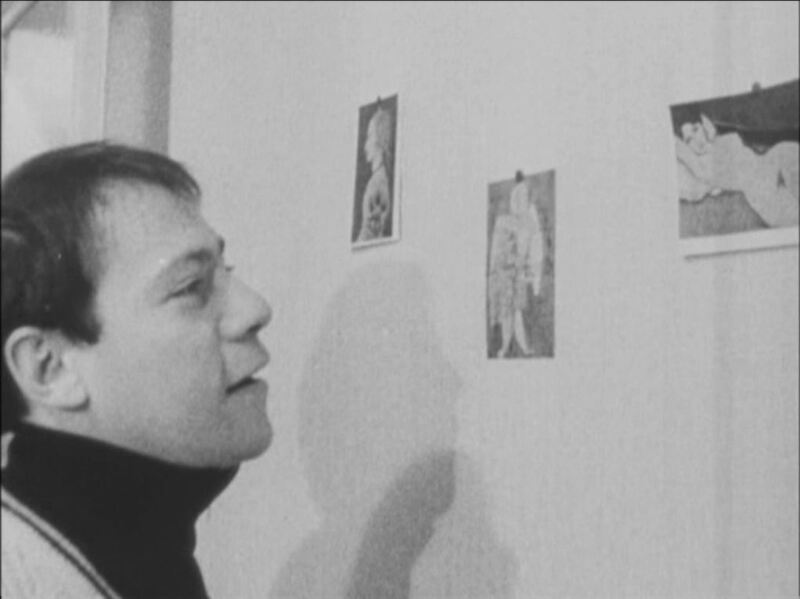 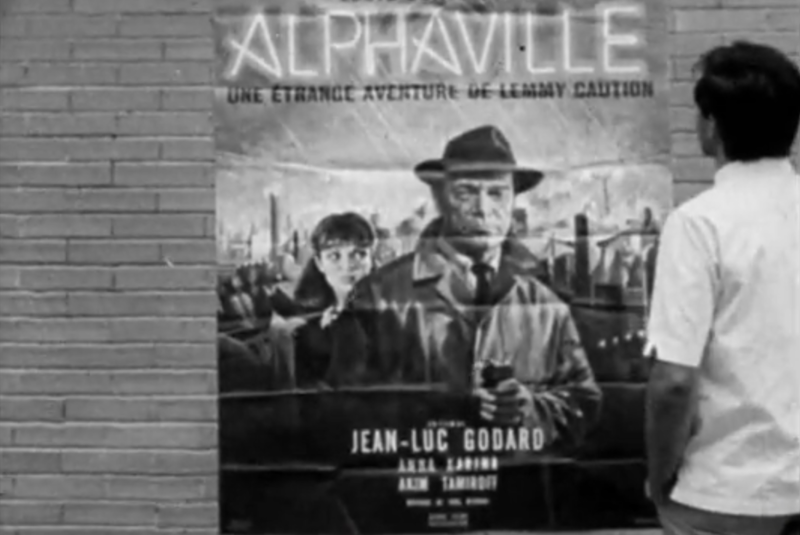 The poster to the left is for François Reichenbach's L'Amérique insolite (1960) - another Braunberger production. 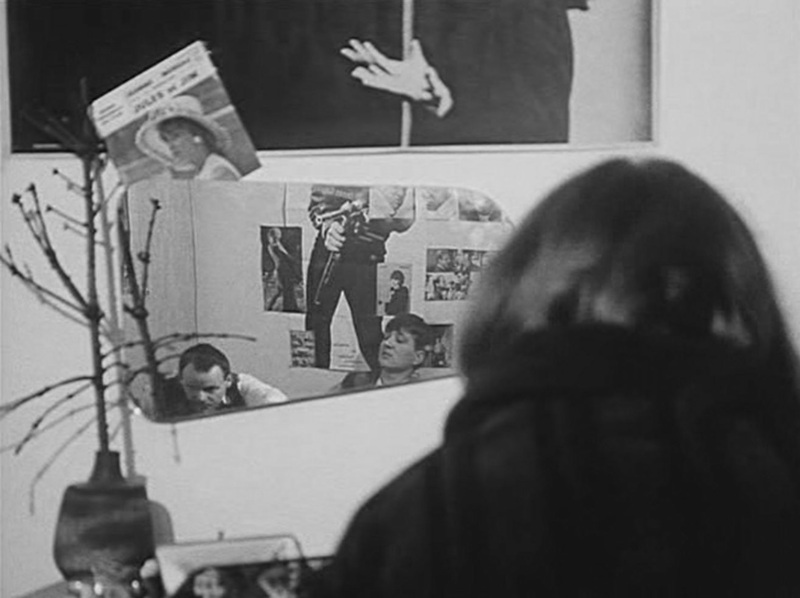 The poster in the middle is for Kon Ichikawa's 1959 film Nobi (Fires on the Plain) - my thanks to Yiwen Luo for the identification. 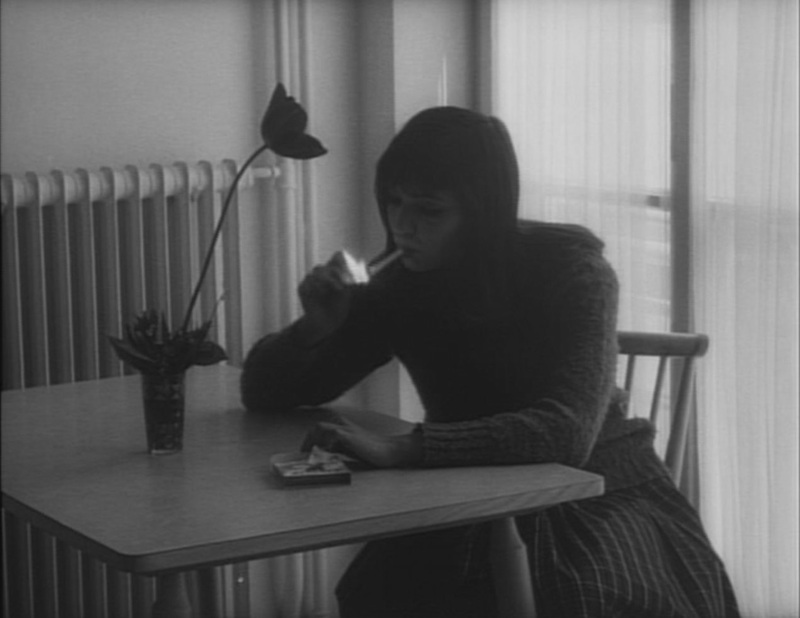 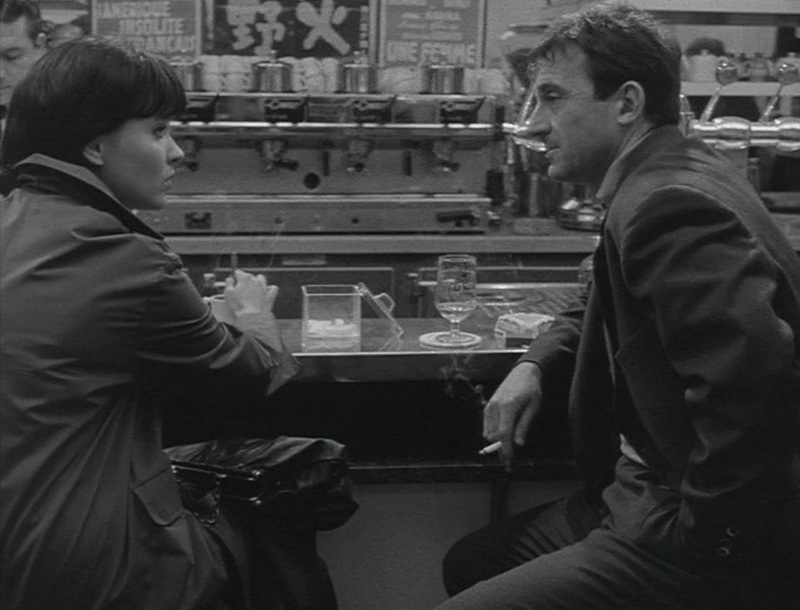 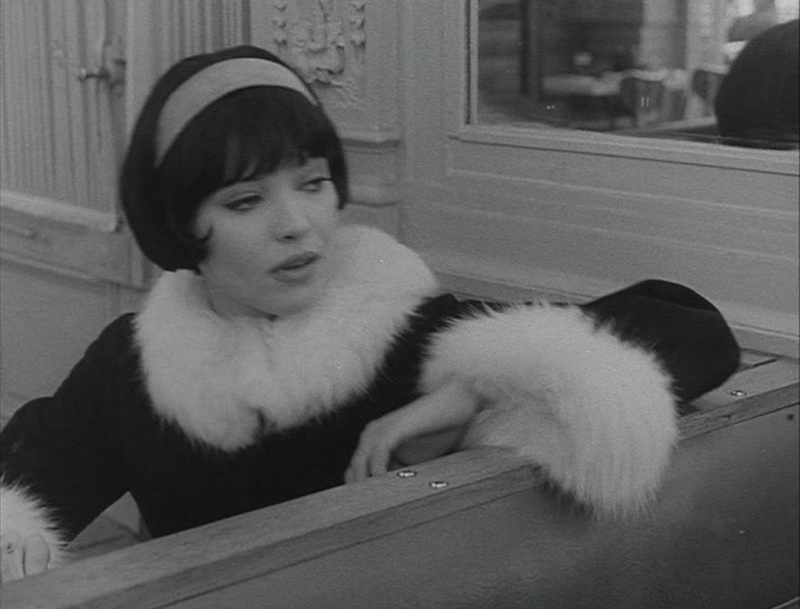 Like Vivre sa vie, Une femme est une femme enjoys referencing other New Wave films. 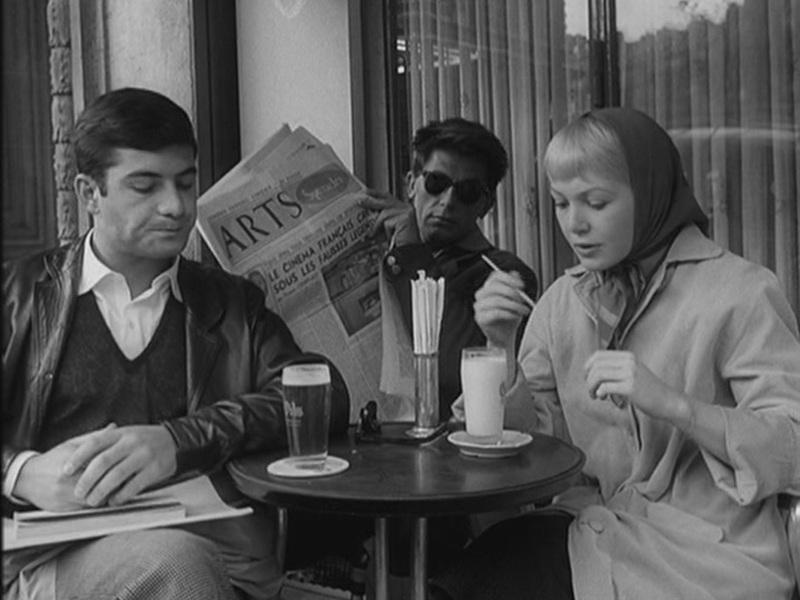 Earlier Belmondo had said he wanted to get to the café because they were showing A bout de souffle on tv. 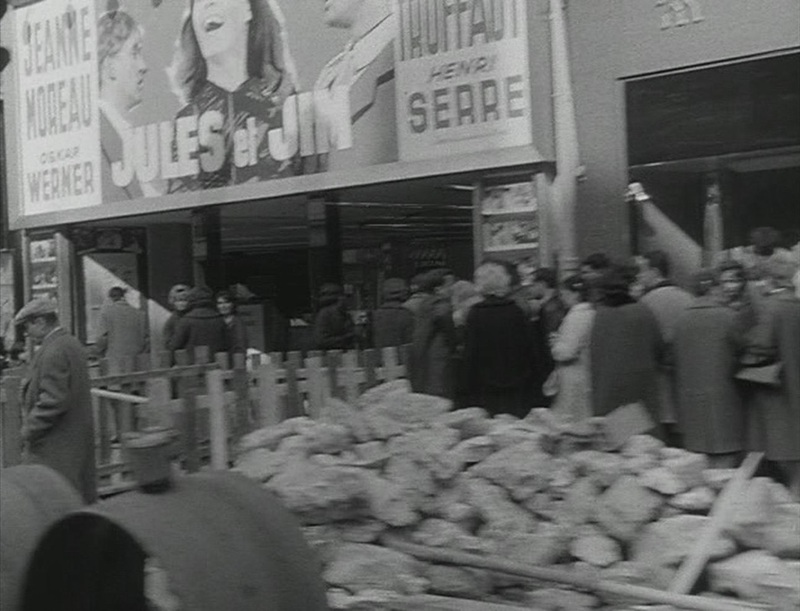 I've checked the schedules as thoroughly as I could and it doesn't look like A bout de souffle was on tv at any point around then - indeed I don't think it could have been, since three years had to pass before a a film could be shown on television. 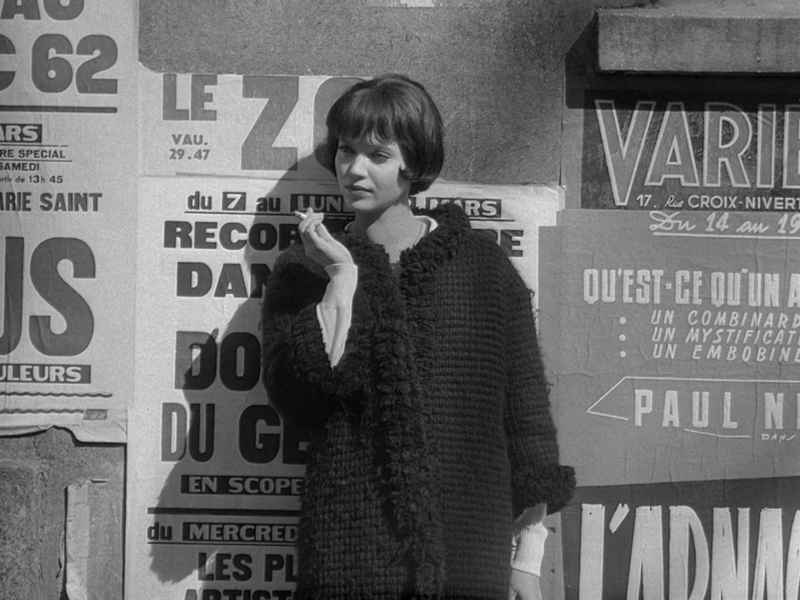 In Godard's Bande à part (1964), Karina's 'peau douce' - her soft skin - is mentioned, another drop of the name of Truffaut's film. 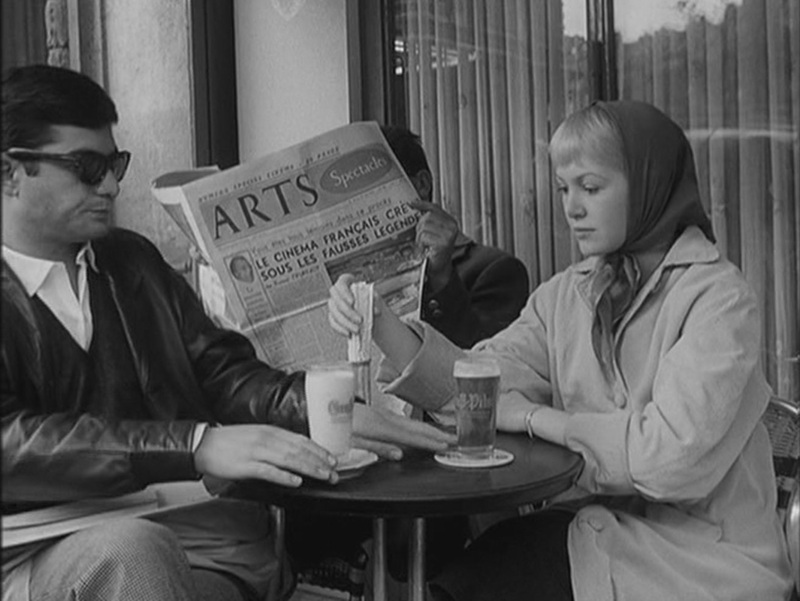 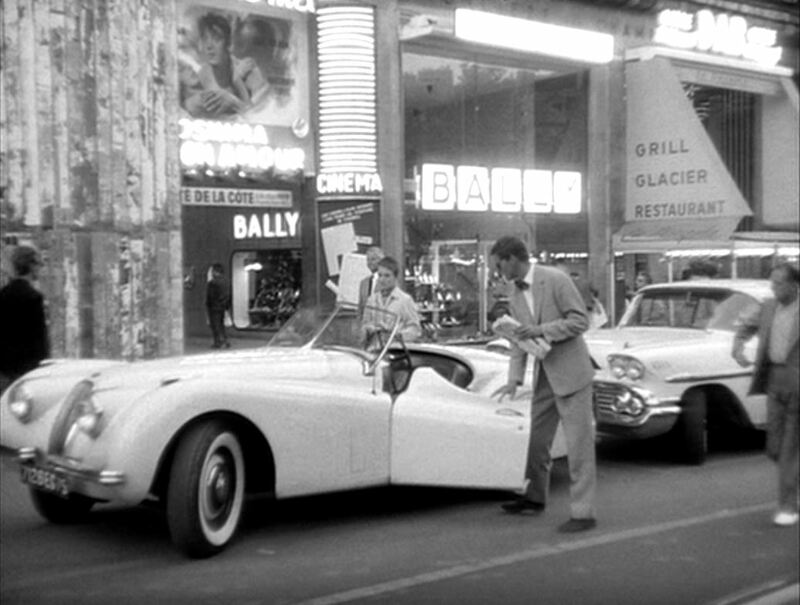 Another of Godard's protagonists in this film whistles the theme from Jacques Demy's Les Parapluies de Cherbourg (1964), music by Michel Legrand, who also wrote the music for Bande à part. 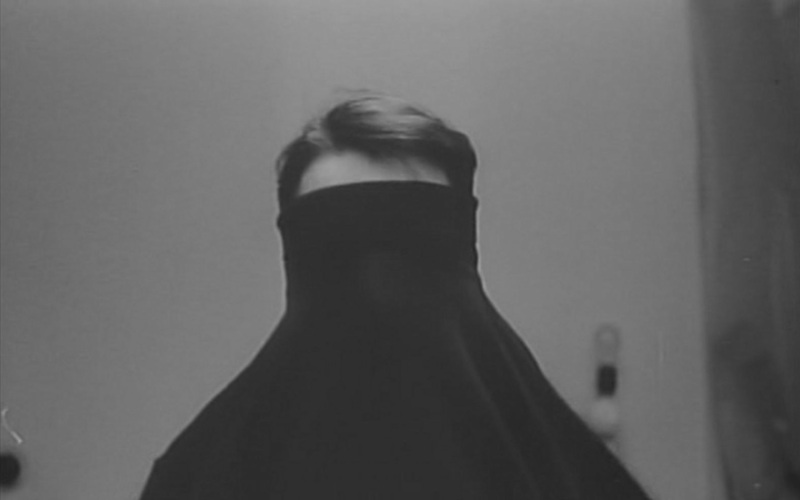 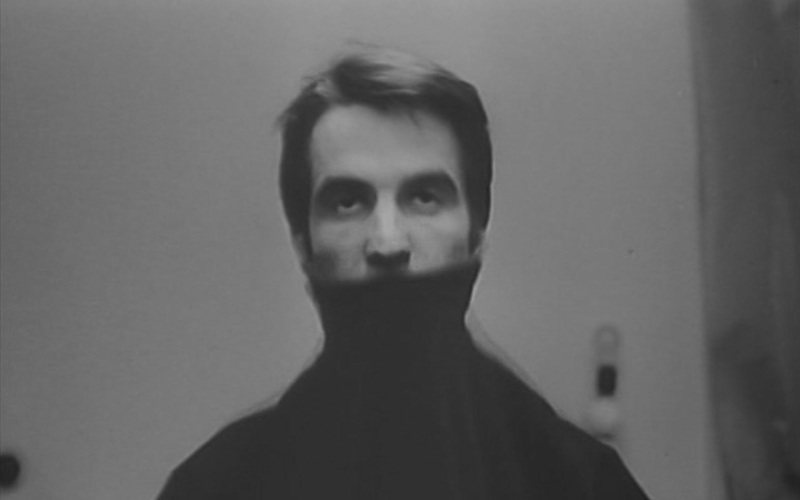 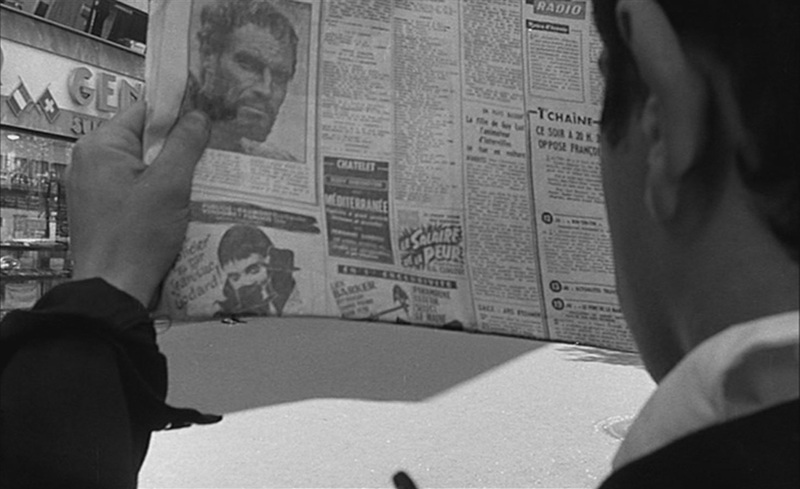 Le Petit soldat will have a later intertextual career through quotations in Bertolucci's The Conformist, Tarantino's Pulp Fiction, Denis's Beau travail and her L'Intrus. 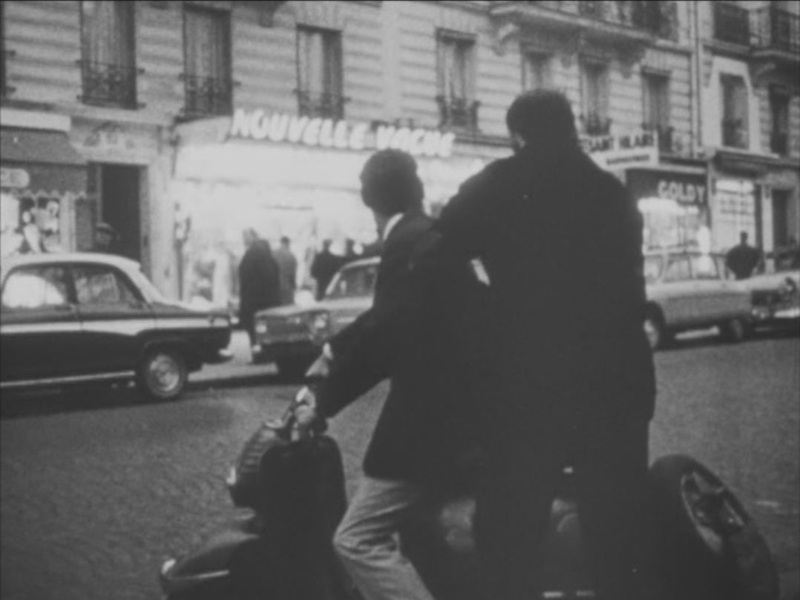 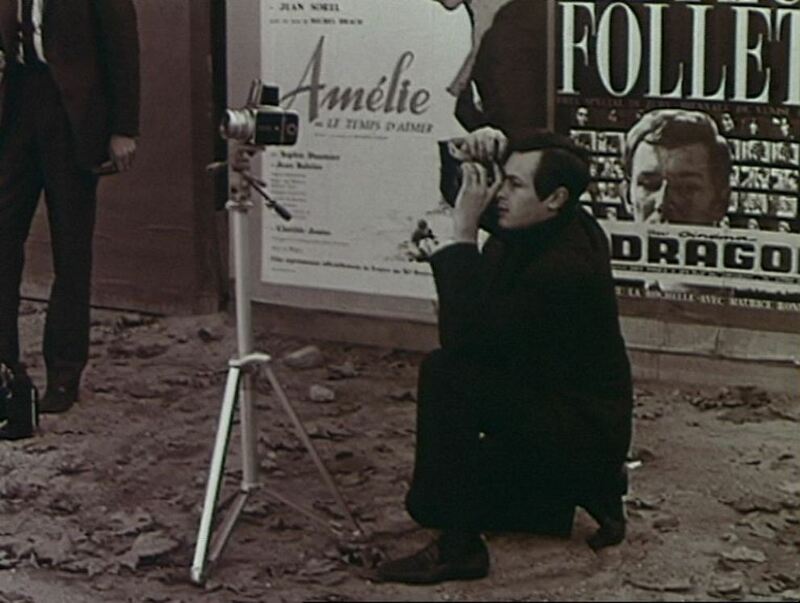 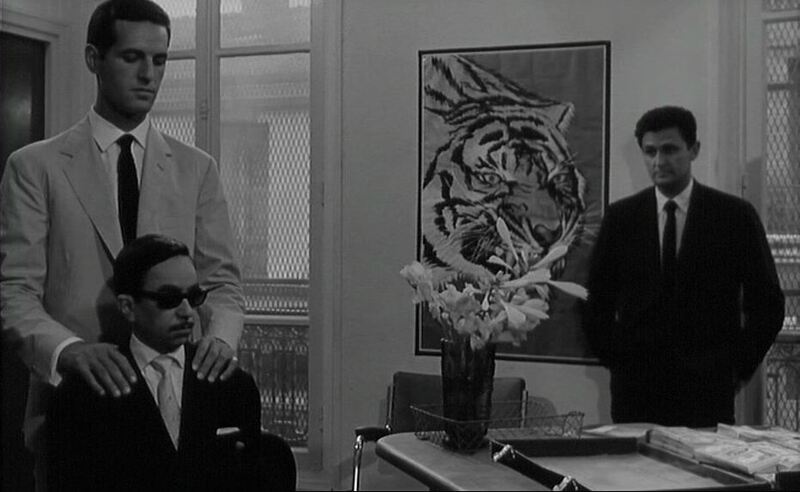 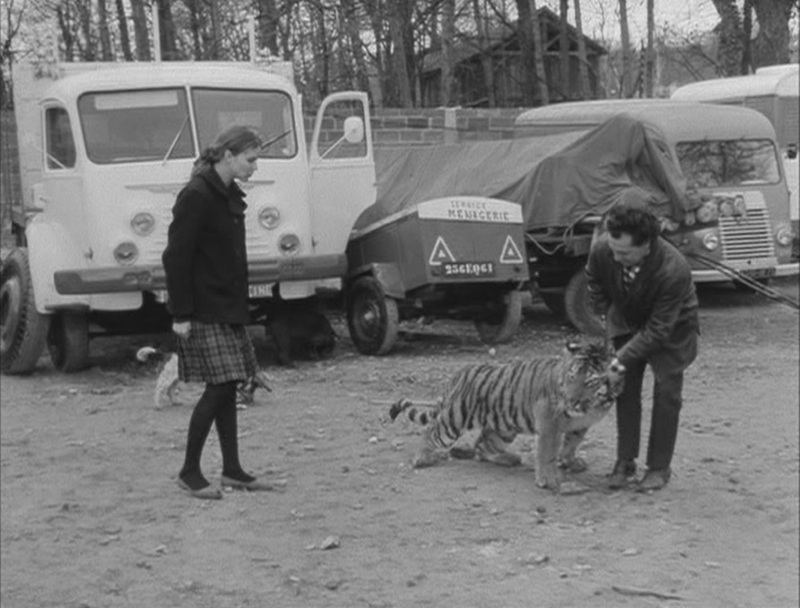 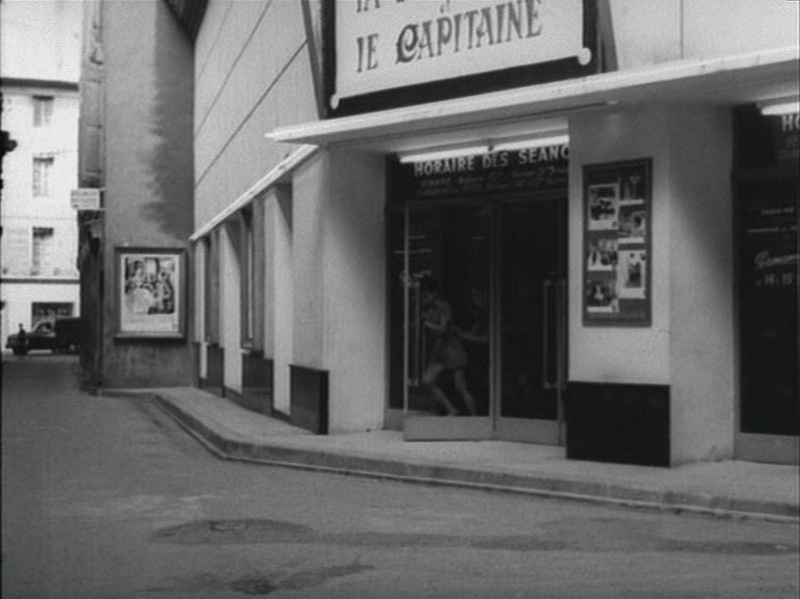 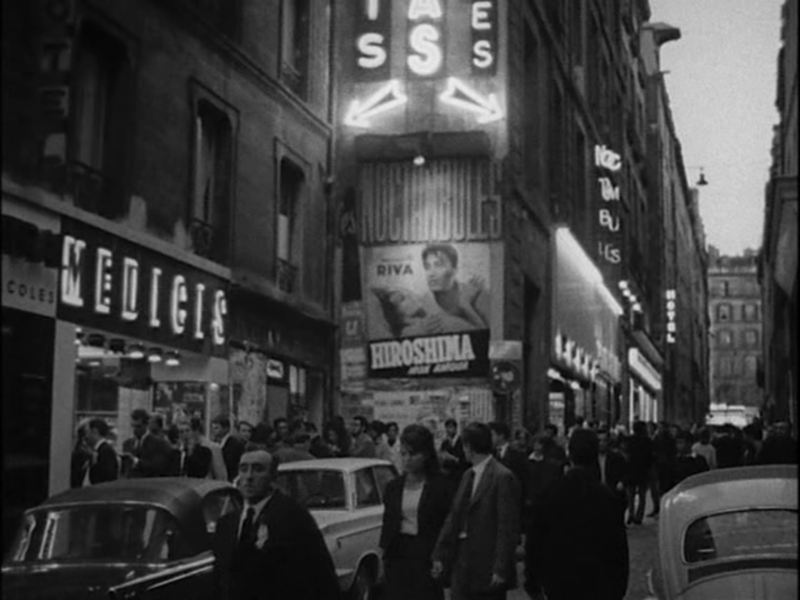 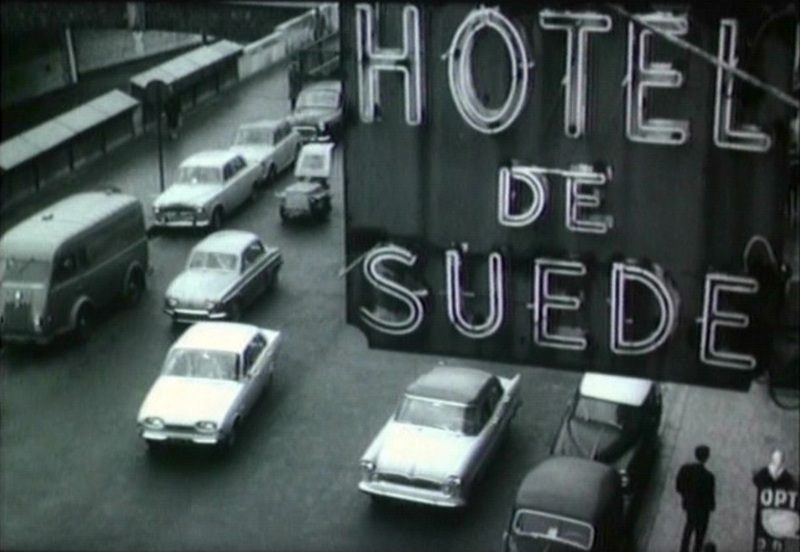 Almost every one of Godard's sixties films gets referenced by someone, somewhere. 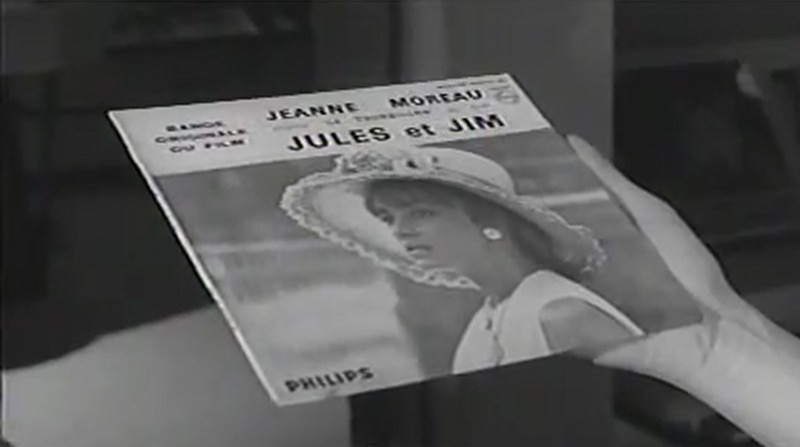 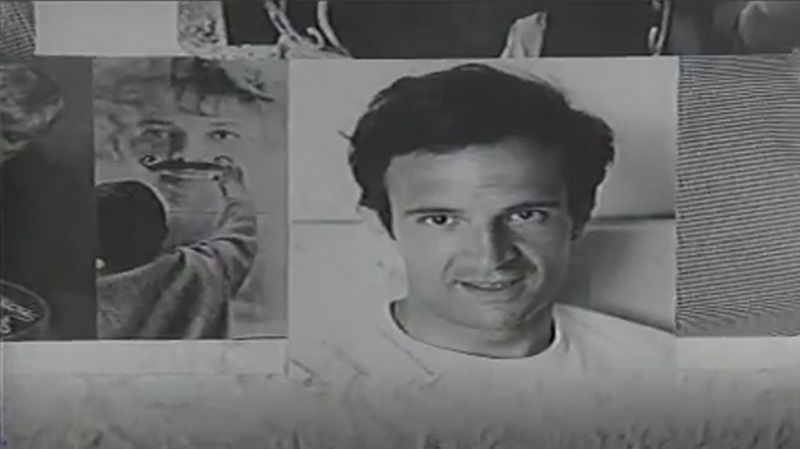 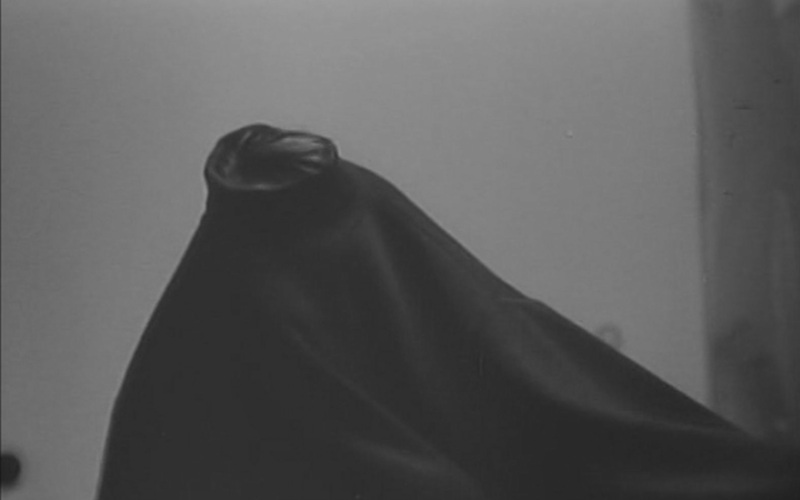 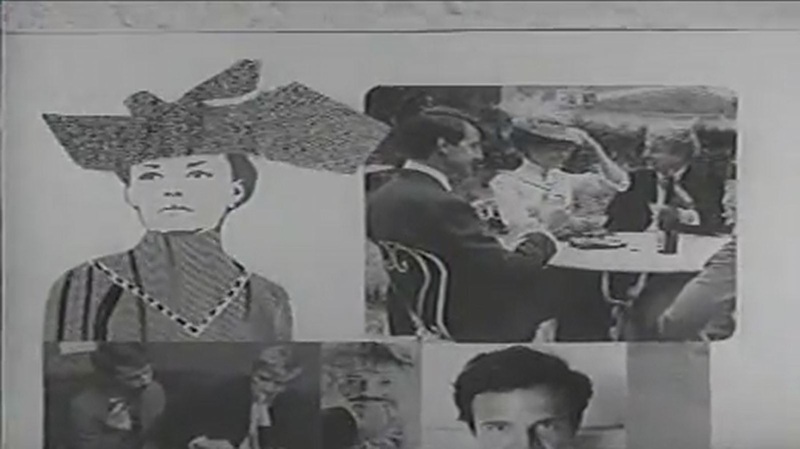 This is the only reference to a New Wave film that I have so far found in a New Wave film by Rohmer. 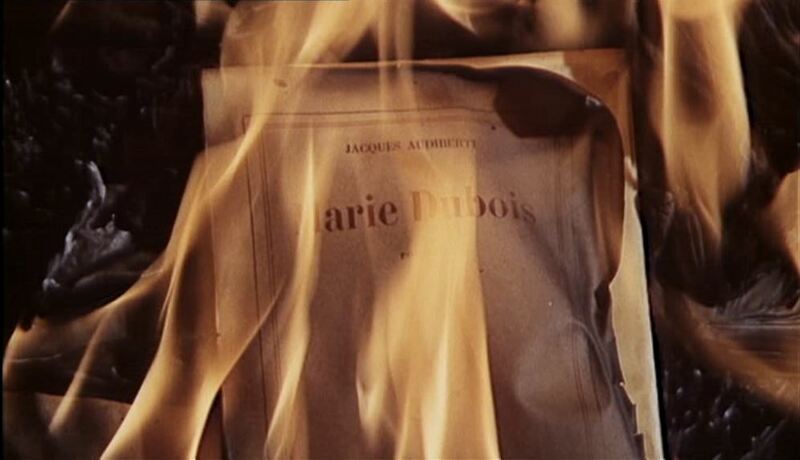 Lelouch's awful film is not really a good way to end this overview of New Wave inter-referentiality. 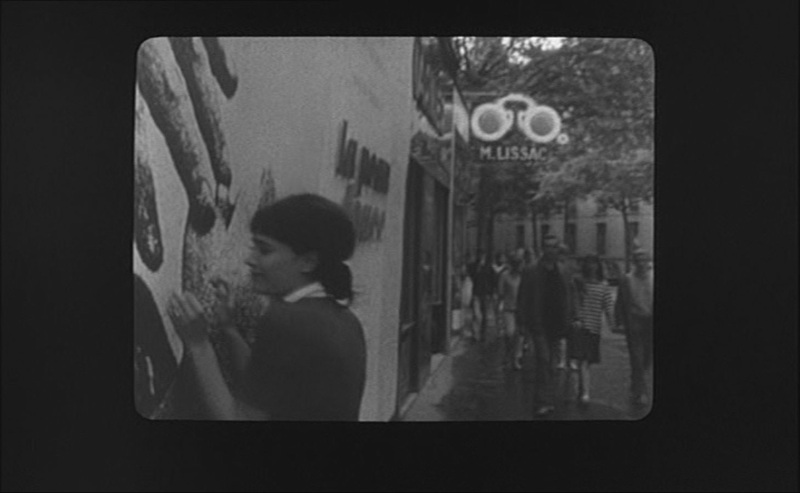 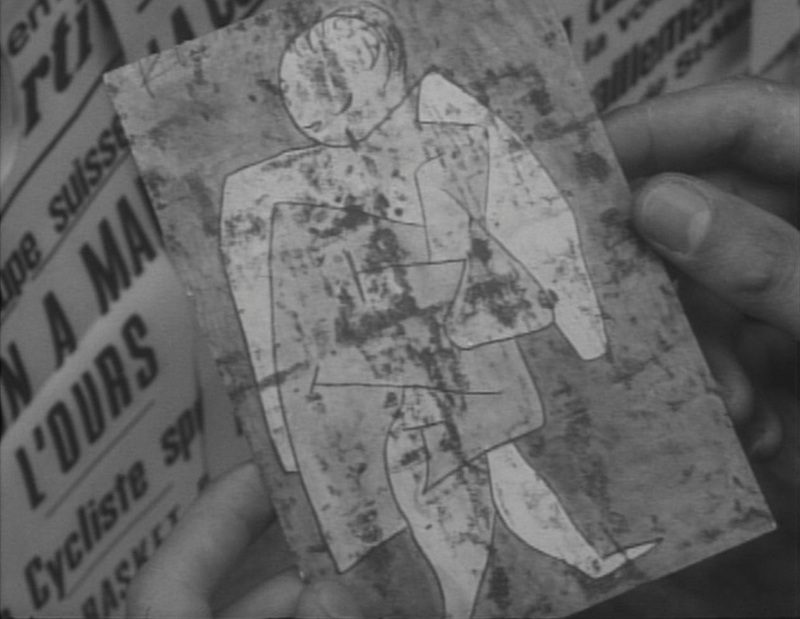 A further post will collect New Wave references to non-New Wave films, from famous instances such as Preminger's Whirlpool in A bout de souffle to minor mentions like that of Renoir's On purge bébé in Eustache's la Maman et la Putain (1973) - the last New Wave film. 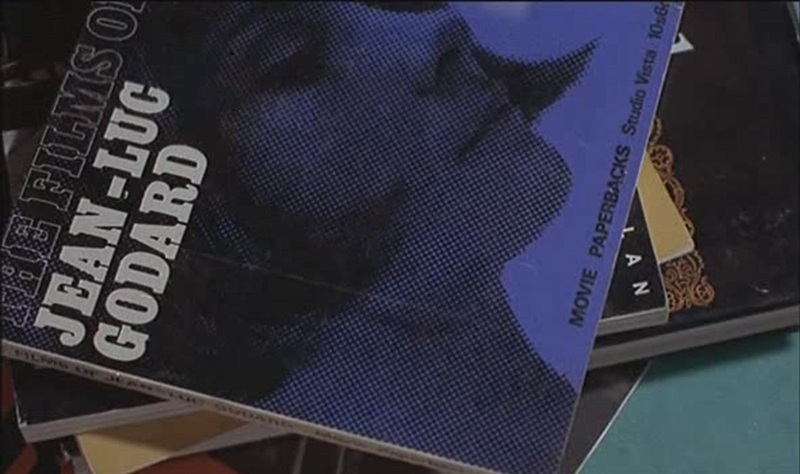 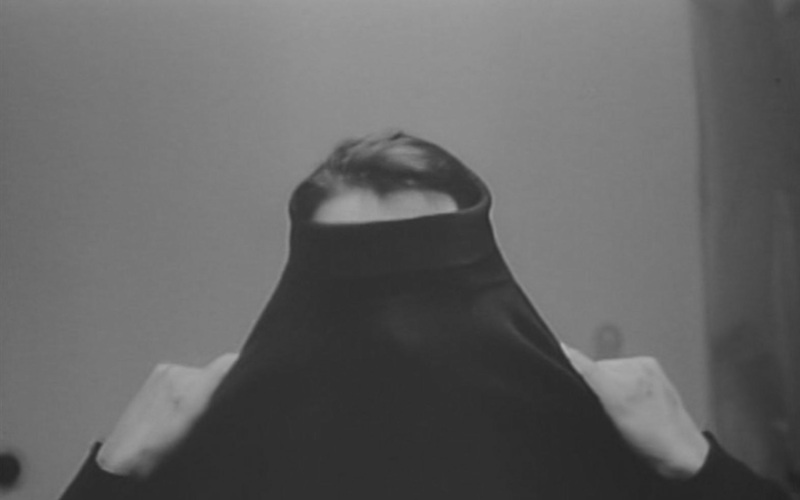 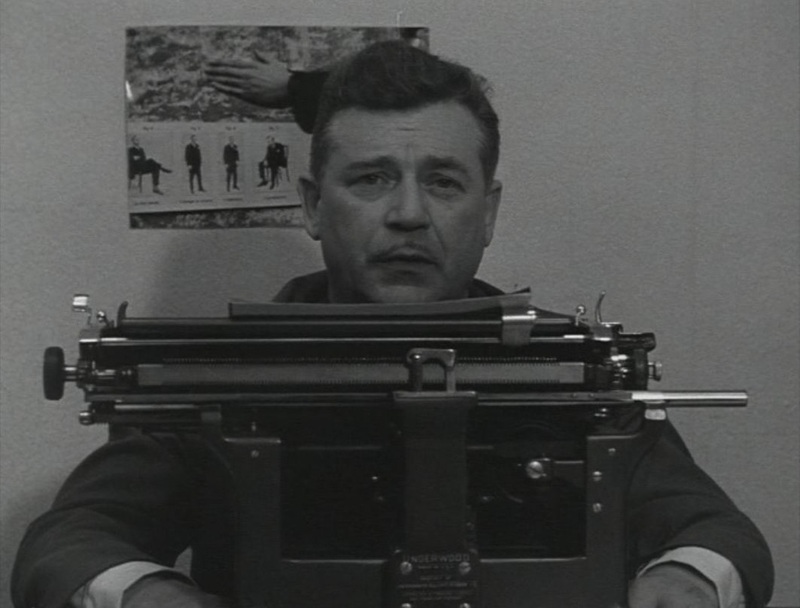 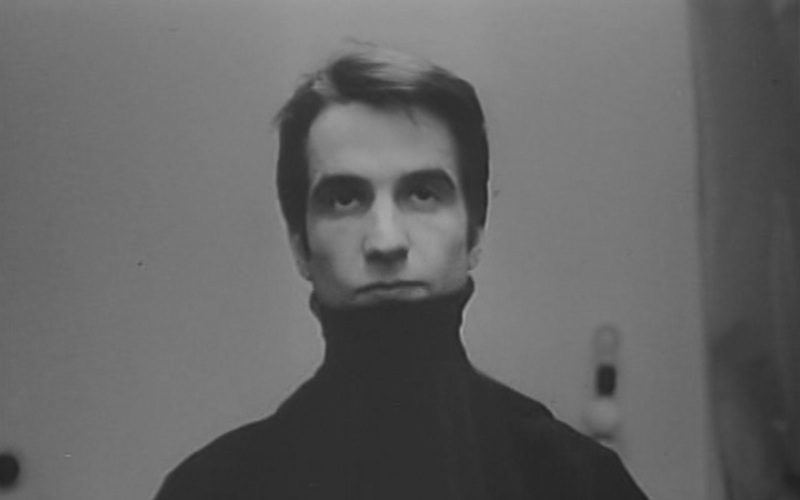 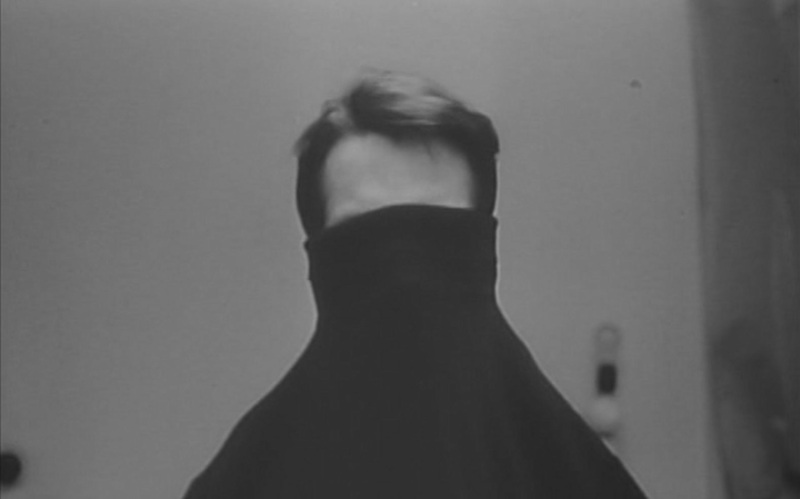 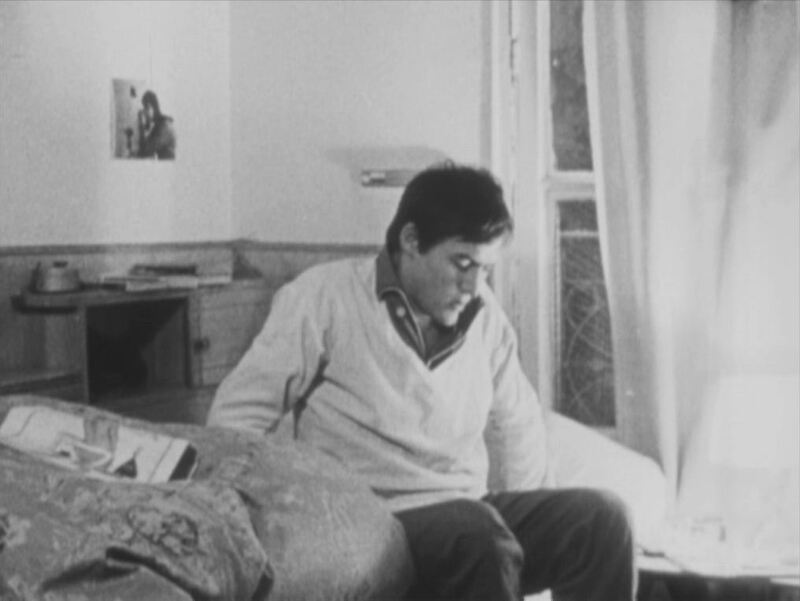 For related posts, see New Wave cameos and Cahiers du Cinéma on screen.